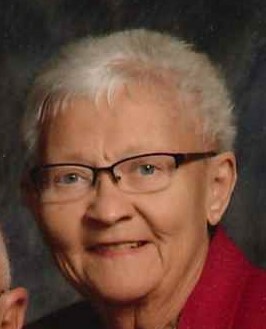 Doris A. Reinhart, 80, of Antwerp, passed away at home on Sunday, February 3, 2019. Doris was born in Monroeville, IN on July 18, 1938 a daughter of the late Earl & Bertha (Emenhiser) Gerardot. She enjoyed her days working at Dana Weatherhead and operating the Ice Cream Depot with her husband. Doris will be sadly missed by her husband, Ken, whom she married April 12, 1958; children, Kim (Duane) Riggenbach, Denise Hobbs, Dan (Jolene) & Kris (Sherry); siblings, Dale (Nele) & Gary (Kristine) Gerardot, Sandra (the late Sonny) Waldron & Joan (Jerry) Zimmerman; grandchildren, Adam, Greg, Taylor, Gillian & Kyle Reinhart, Mike Hobbs, Brian Bashore, Brooke O'Leary, Kelsey Runge & Katie Profit; 1 great grandchild & 2 on the way. Her funeral mass is Thursday, 11 am at Divine Mercy Catholic Church, Antwerp. Viewing is Thursday, 10 - 10:30 am at Dooley Funeral Home, Antwerp where viewing is also Wednesday, 2-4 & 6-7:30 pm with a vigil service at 7:30 pm. Memorials are for Masses at Divine Mercy Catholic Church.